People who are in need of a VPN service have plenty of options to choose from. Most services offer decent encryption options nowadays, but what more does your VPN provider do to keep you anonymous? We take a look at the logging policies plus other privacy and security features of dozens of VPN providers. 1. Our entire infrastructure and VPN service is built to ensure that no logs can be stored – anywhere. Our servers are locked in cabinets and operate without any hard drives. We use a tailored version of Alpine, which doesn’t support SATA controllers, USB ports etc. To further increase security, we use TRESOR and grsecurity to be resistant to cold boot attacks. 2. OVPN Integritet AB (Org no. 556999-4469). We operate under Swedish jurisdiction. 3. We don’t monitor abuse. In order to limit concurrent connections, our VPN servers validate account credentials by making a request to our website. Our web server keeps track of the number of connected devices. This is stored as a value of 0-4, where it is increased by 1 when a user connects and decreased by 1 when a user disconnects. 4. For website insights, we use Piwik, an Open Source solution that we host ourselves. The last two bytes of visitors’ IP addresses are anonymized; hence no individual users can be identified. Automatic emails from the website are sent using Mailgun, but we never send any sensitive information via email. Intercom is used for support. 5. Since we don’t store any information, such requests aren’t applicable to us. 6. We can’t provide any information to the court. A court wouldn’t be able to require logging in our jurisdiction – but in case it did happen we would move the company abroad. 7. We don’t do any traffic discrimination. As such, BitTorrent and other file-sharing traffic are allowed on all servers. We do provide port forwarding services as incoming ports are blocked by default. 8. PayPal, credit cards (via Braintree), Bitcoin (via Bitpay), Bitcoin Cash (via Bitpay), cash in envelopes as well as a Swedish payment system called Swish. We never log IP addresses of users, so we can’t correlate an IP address to a payment. 9. We offer AES-256-GCM. In terms of connection, we recommend using our Multihop add-on. 10. Our desktop client provides a kill switch as well as DNS leak protection. All our servers support dual stack IPv4 & IPv6. 11. We own all the servers and routers used to operate our service. All VPN servers run without any hard drives – instead we use tmpfs storage in RAM. Writing permissions for the OpenVPN processes have been removed, as well as syslogs. Our VPN servers do not support physical console access, keyboard access nor usb access. The servers are collocated in various datacenters that meet our requirements. OVPN does not rent any physical or virtual servers.We operate our own DNS servers. 12. We do not offer any virtual locations. At the time of this writing OVPN has VPN servers in USA, Sweden, Germany, Switzerland, the Netherlands, Canada and Norway. 1. Privacy is so important for VPNCity, therefore, we do not store or retain any logs relating to traffic, sessions, DNS, etc. There is no way you could match a person or entity to an IP Address or time stamp. 2. VPNCity.com is wholly owned and operated by Think Huge Ltd, incorporated in Hong Kong. 3. We don’t monitor abuses automatically, this is handled carefully by a member of staff. There is a limitation of 1 connection at a time for port 25 and we do limit the VPN concurrent connections according to our advertised plans. 4. We do use Google Analytics for marketing purposes and Kayako/Zopin for live chat, however, our staff is instructed to never ask customers for their public IP Addresses. Our applications have a feature which will help the customer to provide our support team the internal IPs to avoid leakage of external IPs during chat/support. 5. As we are incorporated in HK, DMCA and similar Acts have no legal ground. 6. If the order or subpoena is issued by a Hong Kong court, we would have to provide any information we hold. However, as our clients’ privacy is paramount, our NO log policy means that we don’t have any user-specific data to pass onto the authorities. 7. We currently do not block any forms of traffic on any of our servers. We do not currently offer port forwarding services, and we currently do not block any ports. 8. We accept payments via PayPal, all major credit cards and AliPay. Credit cards are processed via Stripe and AliPay is processed via Payssion. We are also about to introduce crypto payments in the coming weeks, processed via CoinGate. There is a link between the payment and the users account as that must be tracked in case of support concerns such as refunds/credits. There is no link between the VPN connection and the user account though. 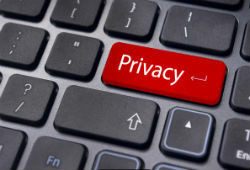 The user account just allows them access to pay for a VPN – beyond that, there is no correlation between the user’s account and the connections that the user has to our VPN servers. 9. TLS 1.2, 256-GCM, 4096bit RSA and SHA512 HMAC. shadowsocks/proxy should use 256-CBC and of course, all DNS should be encrypted by TLS. 10. Yes, a Kill Switch is available to all clients and we’ve gone to great lengths to ensure clients information is secure. IPv6 is enabled by default however our customers have the ability to disable it. 11. We use our own DNS servers, and as the traffic is encrypted, our data center providers are unable to port mirror our traffic. We also insist on strict procurement procedures where we insist our suppliers provide security certificates, such as ISO 270001, and ensure they comply with our security checklist. 12. At the moment we have infrastructure operating in 68 cities across 47 countries. 1. During active session (when the user is connected via one of the available protocols) we record the amount of consumed traffic (bytes sent/received) and store this in DB. After the user disconnects, we no longer have info about the IP, so there’s no way to identify a customer. 3. We use an in-house set of custom scripts that run on each server. 4. For support we use Freshdesk, GA for analyzing web pages, mail is self-hosted. 5. This depends on where the server is hosted. We either ignore it or issue an automatic email reply. The autoreply is long, but basically, it says that we don’t host any files and are not obliged to reveal any info about our customers. 6. We haven’t seen such scenarios in the past, however, we received email requests to get info about users. We always replied as it is – that we don’t have any logs to provide, and are not obliged to store any. The same reply would be to the court order in case it happens. 7. BitTorrent and other p2p protocols are mostly allowed. On some servers, it’s blocked due to fact that there are no hosters in that region that will tolerate torrents. This means that if we enable torrenting on such servers – we’re basically losing this server/location. Yes, we have port forwarding. We block 25 port due to spam issues, any other ports are allowed. 8. We accept credit cards via integration with few different payment systems, PayPal and Bitcoin. Latter is the most anonymous option. Even though when paying with credit card payment system collects basic info required for payment – we don’t store it, and it can’t be linked to any activity that happened while the customer was connected to our VPN. DNS leaks. We support only IPv4 for now. 11. Depending on location we either own hardware or rent it. In both cases, only several people from our staff have access to servers. We strictly control access to servers and encrypt disks. All traffic regardless is it management or our customer’s traffic is encrypted. We use our own DNS servers, and protect customers from leaking their IP by using any other DNS. 12. All servers are located in countries that are listed on our web site. Now we offer servers in 35 countries, and most of the countries have servers in different cities. We do not offer virtual locations when you connect to a specific location – you connect to the server located in that country. 1. We do not keep any kind of logs on our systems. When the user is logged into the server, his information is only available at that time, on our server, and only used for authentication. Once he disconnects all his login information is destroyed. 2. Rothas Apps Limited, we are located in Hong Kong. 3. We offer 5 Multi-Logins, for one account. Abuse of our services is monitored through our server built-in tools and techniques. 4. We have our own email servers. But yes, we use Google Analytics for traffic analysis and Tawk.to for live chat. 5. We monitor our services for misuse in real time. Our system is built upon multiple tools and techniques to assist in the monitoring of our services and alerts us for any misuse. 7. We have certain servers that allow the use of torrents and related tools for file-sharing, and they are only allowed in cases where file-sharing is legal and allowed, therefore, all such traffic is treated as regular traffic. On these servers, file-sharing ports are all open. 9. AES-256 + RSA4096 + SHA256. 10. Our applications have Kill Switch and DNS Leak Protection. We are only working with IPv4 at the moment. 12. We have +150 servers in over 57 countries, more are added continuously and will not stop. 1. We don’t log any individually identifying information. The privacy of our customers is our top priority. 2. Our service is operated by a group of autonomous privacy activists outside of “Fourteen Eyes” or “Enemy of the Internet” countries. Each server is handled within the jurisdiction of the server’s location. 3. There are no tools which monitor our customers but we use techniques which don’t require any logging to prevent the abuse of our service. 4. Our website has entirely been developed by ourselves and thus we don’t rely on external service providers. 5. We reply to takedown notices but nobody can force us to hand out information because of our non-logging policy. 6. This hasn’t happened yet, but if we were forced to identify any of our customers at a specific server location, we would immediately terminate this location. We are not going to log, monitor or share any information about our customers under any circumstances. 7. BitTorrent and other file-sharing traffic is allowed and treated equally to other traffic on all servers. Port forwarding and TCP port 25 (SMTP) are disabled to prevent our servers from being abused for shady things. 8. The only payment methods we offer are privacy preserving payment methods like Bitcoin, Dash, Ethereum, Paysafecard and Perfect Money. No external payment processor receives any information because all payments are processed by our own payment interface. 9. We would recommend OpenVPN, available in UDP and TCP mode. We are using AES-256-GCM/CBC for traffic encryption, 4096 bit RSA keys for the key exchange and SHA-512 as HMAC. This setup offers a very high grade of security. 10. Our VPN Client provides advanced security features like a Kill Switch, DNS Leak Protection, IPv4/IPv6 Leak Protection, WebRTC Leak Protection and many more. Connections from Dual Stack IPv4/IPv6 are supported. 11. We rent 24 servers in 18 countries and are continuously enhancing our server park. It is impossible to have physical control over all widespread servers but we took security measures like disabling hardware ports to prevent unintended server access. The solution to an adversary snooping to inbound/outbound traffic is our service itself. Due to the nature of a VPN connection is not possible to correlate a connection between inbound and outbound traffic. Thus it is not possible to learn anything from such an attack which could break our customers privacy. At the moment we are using the nameservers of Quad9 which offer good privacy. 12. Every server is physically located in its specified country and thus we don’t offer virtual locations. You can find our server list at the following link.